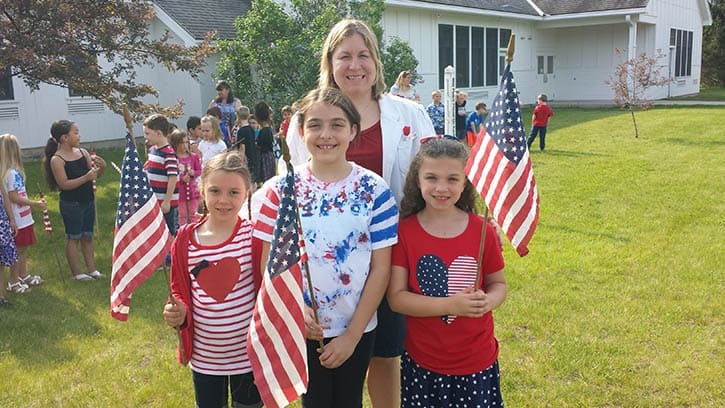 Memorial Day was celebrated at the Mettawee Community School on the morning of Friday, May 27. All grades read poems or sang a song in remembrance of all who have served and sacrificed. Pictured: Mettawee Principal Brooke DeBonis with students (L-R) Kaelyn Monroe, Breanne Weeden and Alyssa Sargent.